When your airways tighten and you’re suddenly taking rapid and shallow breaths like you’ve just jogged around the block, it’s difficult to know what to do next if a few puffs of your inhaler don’t provide the relief you need. You know you have chronic obstructive pulmonary disease (COPD), so you’re no stranger to the coughing, wheezing, and fatigue that often accompany an exacerbation—but how long do you stick it out and wait for the symptoms to subside? When is it time to head to the emergency room? 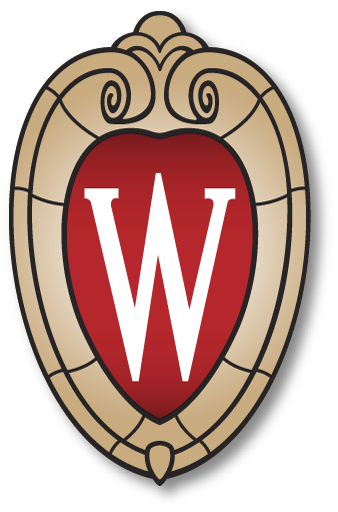 Ed Portillo (PharmD ’14), assistant professor in the University of Wisconsin–Madison School of Pharmacy’s Pharmacy Practice Division, developed a pharmacist-led service to help veterans with COPD using the expertise of pharmacists to reduce hospital and emergency department visits. His service, titled COPD CARE (Chronic Obstructive Pulmonary Disease Coordinated Access to Reduce Exacerbations), has been selected as a National Gold Status Practice by the Veterans Health Administration (VHA) and will now be implemented nationally with the goal of benefiting thousands of veterans across the country. “I am honored to have the opportunity to expand COPD CARE to improve veteran health, and to expand pharmacist involvement nationally within VA clinics,” says Portillo, who is also a pharmacist at the William S. Middleton Memorial Veterans Hospital, where he pioneered the service. The award, which includes Portillo being named a Gold Status Fellow, comes through the VHA’s Diffusion of Excellence Initiative, which is a national program that gives practitioners of every specialty within the VA the opportunity to enter a best practice or intervention that has made an impact at their clinic into a competition for national recognition and expansion. In 2018, 622 practices entered the competition, and COPD CARE is one of only 11 services selected for implementation, marking the third consecutive year that a Gold Status Project has come out of the Madison VA—two of which were designed by pharmacists. Before Portillo, pharmacist Ellina Seckel won the competition for a project that increased patient access to primary care with pharmacists. “We love the COPD CARE program because it’s a smarter way to use existing clinical resources to improve access to follow-up care, drive down COPD-related readmissions, and enhance access to care for veterans grappling with this disease,” says Blake Henderson, innovation coordinator for the U.S. Department of Veterans Affairs who leads the Diffusion of Excellence Program. Portillo was officially inducted as a Gold Status Fellow at an October meeting in Orlando, Fla., where he met with an implementation specialist who is helping Portillo to implement COPD CARE in Arkansas’ Fayetteville VA Medical Center as well as five more southern Wisconsin VA clinics. “This service has the potential to revolutionize COPD care nationally. And the resources required—pharmacists, nurses, primary care providers—we already have. So what are we waiting for?” Portillo asked the judges in his two-minute video pitch for the Diffusion of Excellence competition. Apparently, the judges wanted to wait no longer to address this pressing health issue for veterans. Veterans are three times more likely to suffer from COPD than civilians. In his clinical practice Portillo would see patients hospitalized weekly from exacerbations, which can be triggered by illness, like the flu or pneumonia, or irritants like allergens, pollutants, and smoke. But about one-third of COPD exacerbations have no identifiable cause. With COPD CARE, veterans discharged from the hospital for an exacerbation receive a 45-minute clinic visit with a clinical pharmacist and a registered nurse. The pharmacist provides COPD disease state management, including prescribing therapy, ordering labs, and placing referrals. Registered nurses educate the patient on an action plan for what to do to prevent a hospitalization when symptoms flare up and provide essential disease state education to patients. That integration means that care and prescriptions aren’t fragmented between different locations and providers. The primary care team, comprising a breadth of expertise, provides seamless care. In a 2016 six-month trial of the program in Portillo’s practice, the new procedure dropped the 30-day readmission rate from 18.4 percent to 0 percent, while access to care (meaning a follow-up visit with a care provider) more than doubled, from 35.1 percent to 73.7 percent within 30 days of hospital or emergency room discharge. In the majority of cases, the COPD CARE service resulted in a prescription for essential maintenance inhalers, and referrals to important services including smoking cessation, pulmonary rehab to strengthen the muscles around patients’ lungs, and telehealth. In nearly 53 percent of visits, the pharmacist-nurse teams corrected patients’ inhaler technique, and in almost 37 percent of visits, their dosing frequency was also modified for better home care results. “We’re empowering patients with the tools they need for more effective self-care,” says Portillo. The VHA is the largest integrated health care system in the U.S., with more than 150 medical centers and 1,000 outpatient care sites. That coverage allows the system to serve more than 9 million veterans nationwide, but it also makes it difficult to efficiently identify and spread best practices. “Because we have so many facilities and health care centers, there are pockets of innovation all around the country. The Shark Tank-style Diffusion of Excellence competition allows us to take those innovative practices and spread them across the VA,” Portillo says. Since developing and testing this model of care—which was also earned national recognition as a Strong Practice in 2017 from the Clinical Pharmacy Practice Office Patient-Aligned Care Team, a pharmacy oversight office within the VHA—Portillo and his colleagues have utilized dissemination and implementation science to design an online training package to spread the service to interested VA facilities. Molly Obermark, a clinical instructor at the School of Pharmacy and PGY-2 ambulatory care pharmacy resident at the William A. Middleton Memorial Veterans Hospital, has been working with an interprofessional team for the past two years to develop an online training package for local and national service dissemination. The online modules include training on the actual service itself and what it looks like in practice, as well as how to manage COPD, how to optimize medications, how to empower patients, and which co-occurring issues are common. Patients with COPD, for example, are more likely to have high blood pressure, osteoporosis, depression, and anxiety. Work to implement COPD CARE in Fayetteville began in November 2018, and by February 2019, Portillo expects the service to be in full swing. 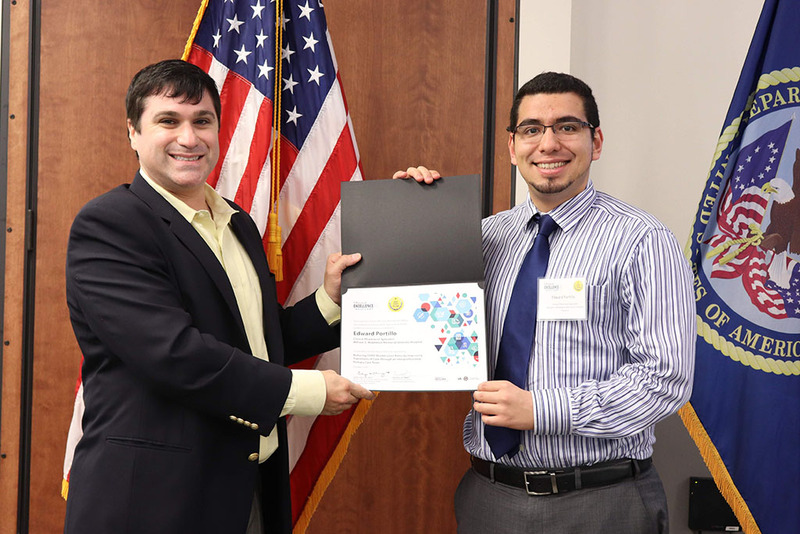 Learn more about Assistant Professor Ed Portillo’s career at the School of Pharmacy.